The strongest indica you will ever encounter, Sensi Star does not lie! This strain takes pride of place in Paradise Seeds’ collection and is the seed that put Paradise Seeds on the map when it completed an epic champions league double - taking the High Life and High Times Cups in the same year. Since then this strain has continued to win awards around the world, in both bio and hydro categories. Improved in 1997 it is named ‘one of the worlds finest cannabis strains’ by cannabiscupwinners.com. Sensi Star has achieved over 15 cups in major competitions and is as popular now as it was in 1995 when we first released it. 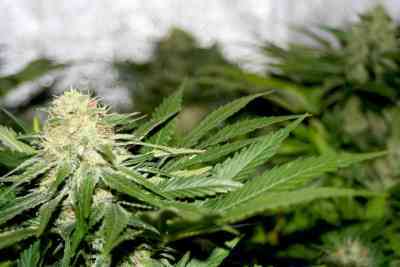 Just what are the prize winning attributes of this old school classic strain? 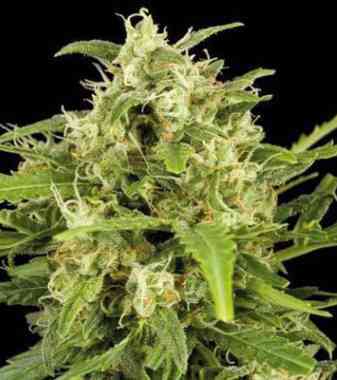 It is smaller than many varieties, fat and stout with bushy branches that carry dense indica buds. 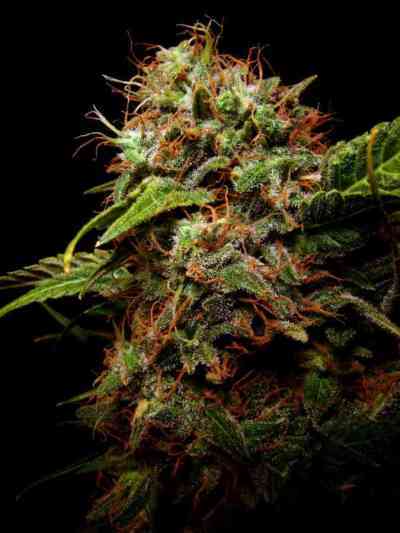 It’s a great plant, producing powerful and very compact buds, crowned with legendary amounts of resin. The smaller size means this plant is good for all grow rooms, allowing the gardener to maximize use of space, performing just as well in soil or hydro (8 - 9 weeks flower time). The variety is bred to work well as a multi branch and is an exceptional performer in Sea Of Green and Screen Of Green (SOG and SCROG) set ups, where the side branches of these short and thick plants contribute to excellent harvest yields. Outside too, the Sensi Star proves its outstanding heritage with a tendency to grow fat and beautiful bushes that sprout from the ground like new stars exploding in some distant galaxy. With a lot of sun, this plant will produce many, many buds, and is a big favorite down south, in regions of France and Spain. It also has fans in southern regions of the USA. Expect colas that are rock hard and coated with so much resin they literally glow in the dark with crystals (which explains its ‘White Strain’ nickname). The taste is part metal, part mint and all sweetness. However, it is the effect that has put Sensi Star in the history books as one of the most potent strains available in the world. This variety is and almost pure long lasting indica, with THC levels recorded at over 20% in many cases. 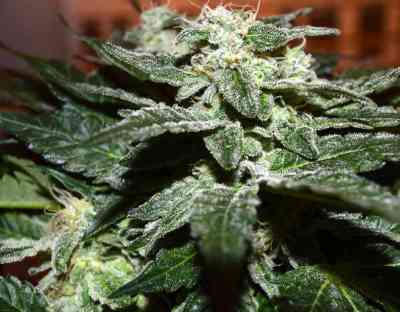 Although mostly indica, she retains a complex high that warps both body and soul. Sensi Star packs a champion’s heavyweight punch, hitting the body hard and sending you sprawling on the couch. A sativa kick brings some vigor to the stone, providing an energetic heady edge that is uplifting in nature. This strain appeals to old school and new schoolers alike and has become well known among medical users in recent years too for its super relaxation powers.